Who doesn’t love to snack? It is pretty much known that everyone loves to have snacks. However, it is up to you whether you choose to have snacks that are going to benefit you or harm you. 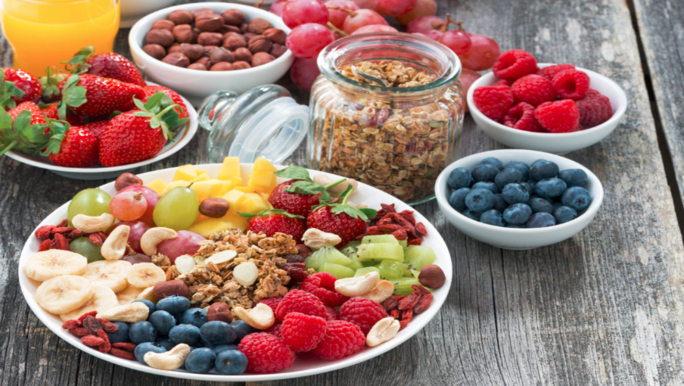 If you are going to have improved fitness and you want to stay fit, you need to make sure you eat the right snacks. 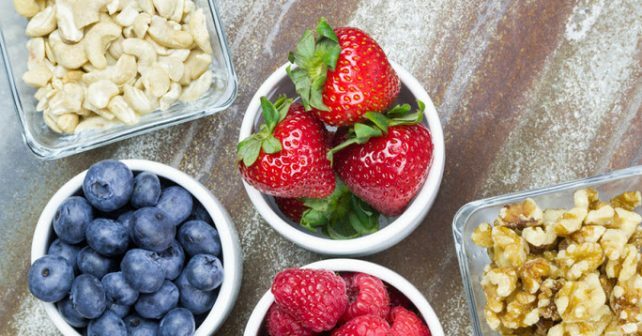 There are some quite simple snacks that you can take on the go which will benefit your fitness results. Depending on where you live, yes it may be difficult to avoid unhealthy snacks and other foods. However, you need to put your foot down and decide that you will no longer fill your body with unhealthy, salt-filled or sugary snacks. You are, from this point on, only going to eat snacks that will help you stay fit and healthy. Make yourself that promise now and continue reading. If you want a snack but you are sticking to your plan to make sure you stay fit, you can start with some very tasty protein bars. When you are choosing your protein bars, make sure they are filled with protein and fiber. They should also have low amounts of sugar. You can get some tasty protein bars including some with chocolate chips or even berries in them. Get some today so you are sure to have a healthy snack wherever you go. You may love eating Doritos or Lays potato chips. The problem is that those chips are absolutely no good for your health and they certainly aren’t going to help you stay fit. If you want to stay fit, you can still eat chips but they need to be healthy for you. Many men enjoy eating Terra chips. These are actually vegetable chips and they have no artificial preservatives or flavors in them. Additionally, they are gluten-free which is another benefit for staying healthy and fit. Just make sure you aren’t eating too many of these chips because they do have carbs in them. Yes, the good ole’ beef jerky. Men all over the world list this as their number one snack for on the go. The great news is that beef jerky is quite a healthy treat. You must make sure the one that you choose is not loaded with salt. Another tasty treat that you can take just about anywhere are rice cakes. These are a favorite snack for many athletes. This shows you that if you want to stay fit but you still want a snack, rice cakes are right for your list. They are quick and easy to eat. These cakes are low in calories and they are free from fat as well. While it may be difficult to eat Greek yogurt in your vehicle, it is a great snack to eat at work. If you need some healthy snacks for work this is one that should top your list. It is healthier than normal yogurt and they make many tasty flavors of it as well. Another excellent snack to take on the go that will help you stay fit is a protein shake. You can drink these in the morning, pre-workout, post-workout or even as a meal substitute. They are filling so if you have a bit longer time before a meal, you can fill up on one of these instead of chowing down on something less healthy. Men fitness buffs and athletes live off from their protein shakes and never go a day without drinking at least one of them. If you are on the go a lot and you needed to find some healthy snacks that will keep you fit, you have stumbled across a gold mine of healthy snacks here. Staying fit may not always be easy. 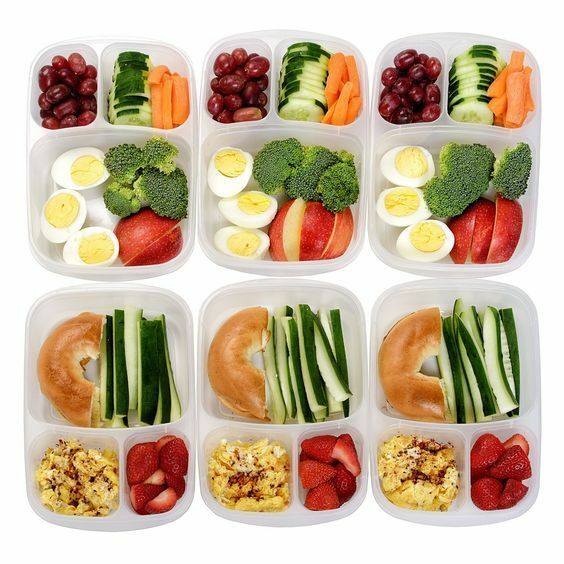 However, when you have a list of the right foods and snacks, that makes things a lot easier. Now you have a snack list for your next shopping day. Make sure you stock up on all of these.